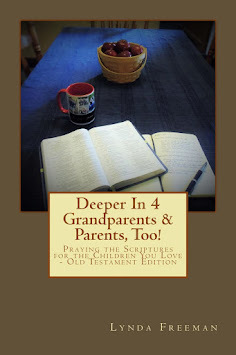 About the Children's Department: Grandparent on Purpose - 4 Roles of a Grandparent! Grandparent on Purpose - 4 Roles of a Grandparent! A year ago I heard Tim Kimmel speak about grandparenting on purpose, and today I want to share with you what this means, and looks like. 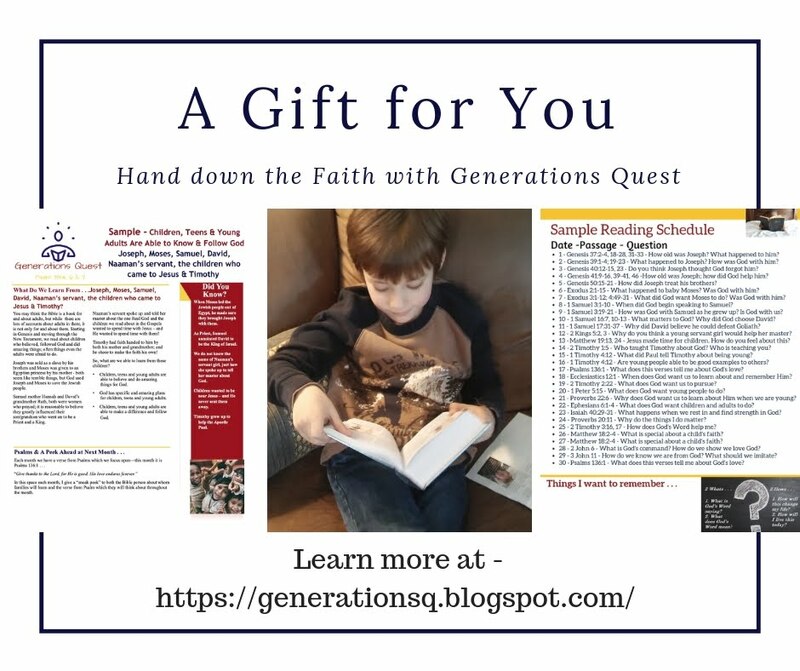 Please think about this in regards to the grandparents in your church, and then think about what you do as a Children's Ministry, to help engage, equip and encourage these grandparents to be intentional in passing on a heritage of faith to their grandchildren. Tim said grandparents need to employ a "gracious grandparenting" plan . 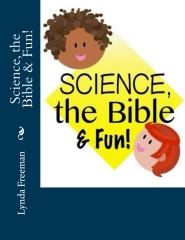 . . which basically means we treat our grandchildren with the same grace God lavishes upon us! When we mess up, God gives us His grace and forgives us - He does not hold it over our heads nor brow-beat us. 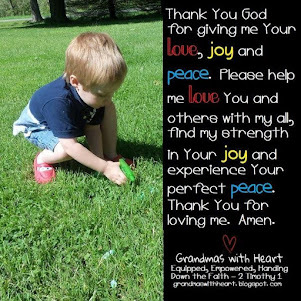 God gives us grace and grandparents need to do the same! He said there are four roles for a grandparent . . . They need to be blessing givers - speak words of blessing to their grandchildren. 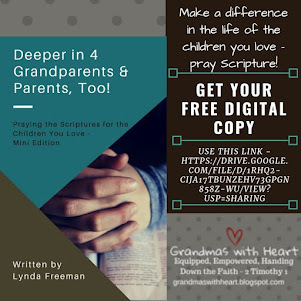 Help them understand they can look for Scripture verses which speak to them and which can encourage their grandchildren and then pray them out-loud over their grandchildren! This gives their grandchildren a secure love, a sense of significance and a strong hope - and why wouldn't they want to give their grandchildren these things???!!! They need to be people who leave a legacy. (Psalm 102:28) One day when they are gone, what will their grandchildren think of when they think of them? Calm? Peace? Assurance? Hope? Love? Grace? Or something else? 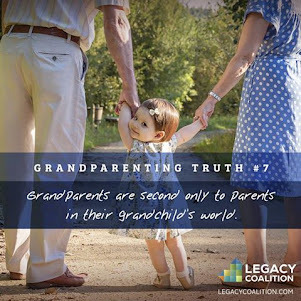 Challenge them to leave a legacy which points and draws their grandchildren to Jesus! They need to be a torch bearer of the Gospel! Tim said, "Don't chase them with the torch, or cram it down their throats! Don't drop it! Shine the torch and hold it high!" The Spirit has the job of drawing their grandchildren to Him in His timing. 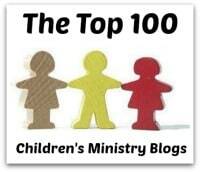 Help them learn to hold the torch of the Gospel, so they can see it and let the Spirit draw them to Him! They need to set a Standard. 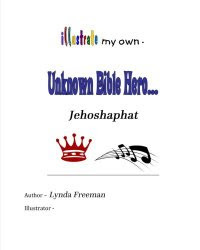 (Psalm 15:1, 2, 5b) Be blameless, righteous, speak the truth and we will never be shaken! 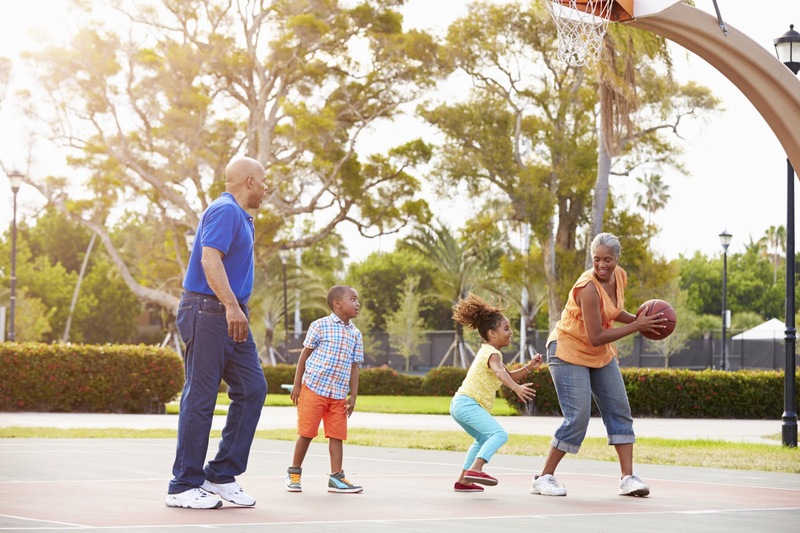 Just because they are grandparents, it does not mean they are ready to retire. They still have a job to do; a very important job! Challenge them to be serious about passing on a heritage of faith! 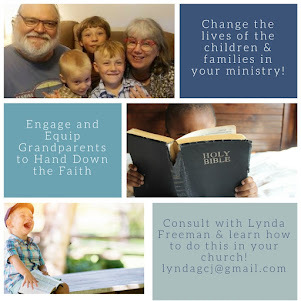 And pastors and church leaders, let's be serious about engaging, equipping and encouraging the grandparents in your ministry to do these things.